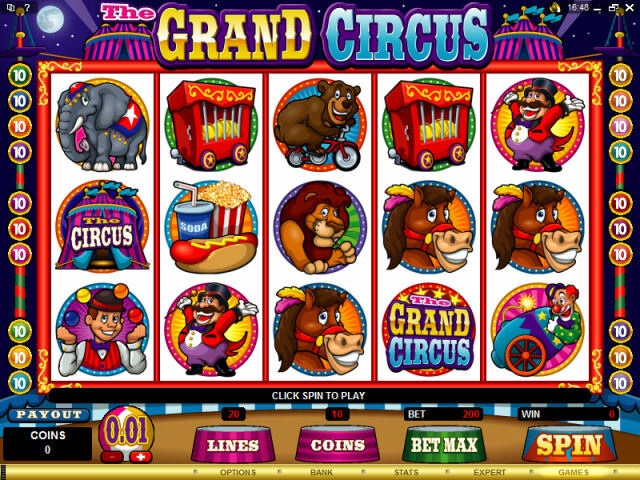 With its colourful cartoon graphics, The Grand Circus promises to deliver hours of entertainment and includes a generous Free Spins Bonus Feature plus, a 'Pick X of Y' Bonus Game. 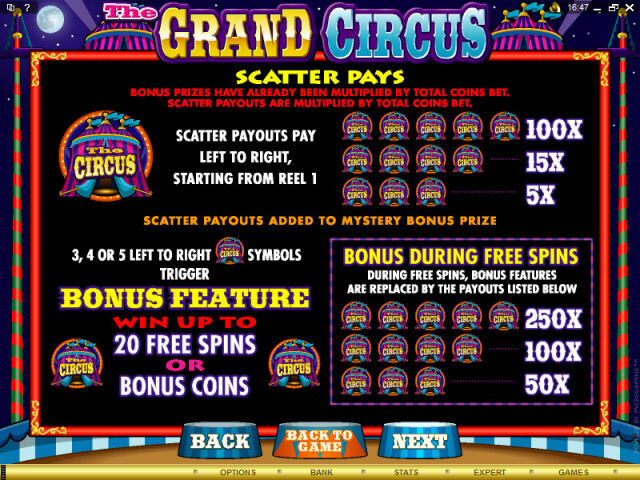 20 Free Spins are awarded and you can win up to 250x your wager. Select 3 tight-rope walking bears from a choice of 6 and see your winnings dramatically boosted by fantastic free coins prizes. 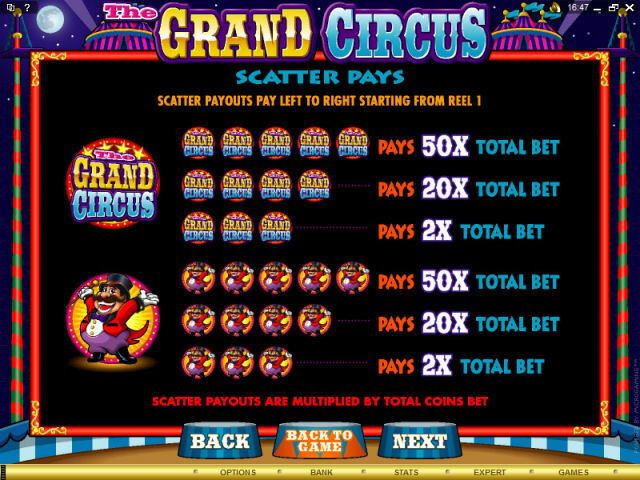 With a coin bet range of 0.01 to 1.00 and up to 10 coins per payline, a maximum bet of 200.00 can achieve a ringmaster size Jackpot of 20,000 � an additional 50,000 can be won courtesy of Free Spins and 45,000 via the Pick A Bear Bonus Game. Take a trip to The Grand Circus today and join in the fun!